You will have little success trying to convert potential enrollees and retain students unless you have some level of connection with them. Students will feel they belong to your campus when they have a sense of connection with their faculty and classmates. This connection however, needs to be initiated before they come to campus and continue throughout the student lifecycle. 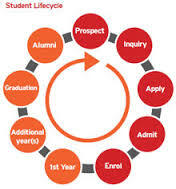 After the acceptance letter, your institution’s relationship with the student is transformed. Your institution is now in a competitive process as you are vying for the student to select your institution. As you go through this process to convert potential enrollees, it is imperative that you continue the engagement with your institution and brand. Institutions who are using social technology to launch a branded, private social network or an online form that that has the familiarity of social media such as Facebook, and Twitter for prospective students, are finding that they are more effective in converting or retaining students through the student life cycle. For today’s potential enrollee, a private social network will be expected to be the place to connect and communicate. A private social network enables students to learn more about your institution through open and candid conversations with other prospective students and current students. For the institution, unlike Facebook, a private social network puts the institution in control of branding and user experience. With institutional ownership of the data, privacy of the student and the institution is protected. This institutional control is particularly important in higher education where regulations dictate student data protection requirements. For students who have selected your institution, a private network will enable you to guide students through the enrollment process in a familiar setting as you are building deeper connections between and among students, faculty and staff. Technology has advanced over the past decades offering new and better methods of communication. Social media is a big hit among the young people and today, many institutions make use of many social apps such as Facebook, Twitter, Pinterest, and Snap Chat to attract and recruit new students. However, if you want to retain students, you need to look at how the commercial sector is making use of social technologies to create private customer social networks and apply the same concepts to students. It has been proven by the commercial sector that the application of an online, customer community with familiarity of social media has helped build connections between customers and vendors. This in turn has led to high customer satisfaction and brand loyalty or retention. By applying the same concept to your students (customers) before they come to campus and after, your institution can realize the same results. 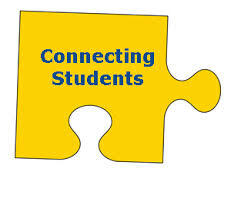 The most successful students are those who take the time to make academic and social connections. When students feel they are connected to their campus, their chances of being retained and excelling academically is high. This is the starting point for connections. Branded online communities or a private social network will enable your institution to create a trusted environment for conversations in an environment that is familiar and comfortable. This helps to build relationships amongst advisors, faculty and students. When students are able to meet their classmates in an environment that is familiar to them, the power of students connecting to students will be realized. With an institution owned private social network, advisors can monitor their student conversations and identify at risk students from a nonacademic view. Encouraging student and faculty dialog that is non-hierarchical or outside of the classroom, builds stronger relationships and strengthens the bond of the student with your institution. This sense of connection among all campus constituents builds brand loyalty and can result in a decrease in attrition rates. It is important when you are trying to connect with your students to understand their circumstances first. Be enthusiastic in your approach as you communicate and take an interest in their lives too. By taking this approach and levering social technology, you will find that most of them will stay loyal to your institution throughout the student lifecycle because they have built a relationship with your institution. 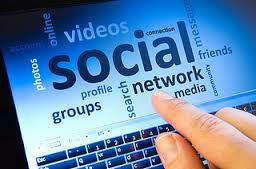 Does your institution have an private social network? We would love to hear more about it. Please share below.